January heralds the first walk of 2012 for the S.M.A.S.H. team and this time we go back to Keswick to bag that little Wainwright overlooking the town. Walla Crag is another of those much loved walks that proves you don’t have to get to the dizzy heights of the big summits of Skiddaw or Blencathra and the Helvellyn’s to really appreciate the beauty that surrounds. I was here in the summer of 2011 when Jack and I picked up Walla Crag on the way to Bleaberry Fell and High Seat for our first wild camp. The scene this time would like very different in the bleakness of January. S.M.A.S.H. were very pleased to welcome on board Umar. Abs’s younger and equally charming brother sporting the same dark locks and shiny beard it promised to be a good day if only for the company. So what weather would January 2012 serve up. Well one thing was certain, changeable and lots of water all around and the previous days rain would race down off the mountain gullies into Derwent Water. The three of us eventually found each other in the darkness of the EDF car park desperate to get the journey started as early as possible. The rain was well set in and the outlook was a dreak looking kind of day however the forecast for Keswick was suggesting a mix of showers and sunshine but very high winds from the North West. 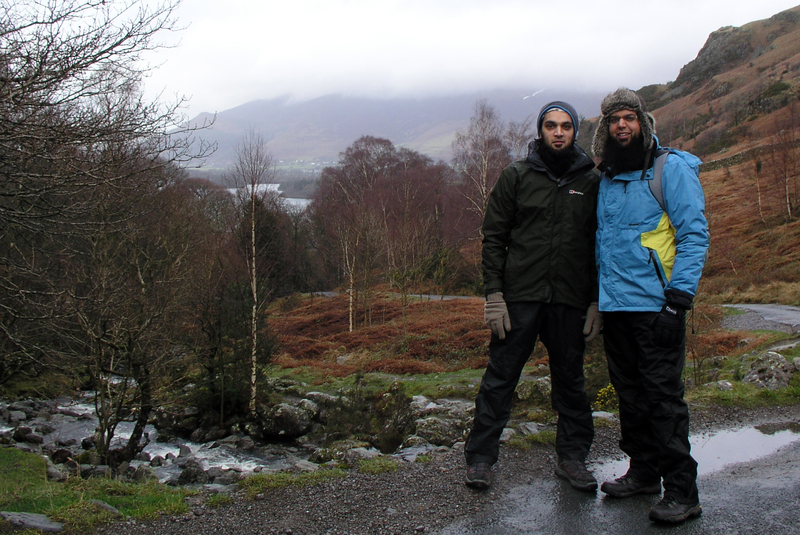 We arrived at the Headlands Car park in Keswick around 09:20 and layered up for a walk that was one of two halves. Starting out along the shore of Derwent heading south to find Ashness Bridge and then climb North East towards Walla Crag. We all figured we may as well put on the water proof trousers now rather than battle with them in the wind. The last two walks we attempted to put trousers on you’d think we were trying to fly them rather than wear them. We picked up the clear footpath from the Borrowdale Road which lead down toward the lake shore into the edge of Great Wood on a rooty single track that squeezed us against the road and then against the shore line.The rock being wet forced one or two pre steps before really set your foot down just in case of a slip and an early bath. I remarked I was already the number one suspect to take a fall as I didn’t even make my own stairs on Friday without braying my knee so hard it made me dance about on the landing for a while. 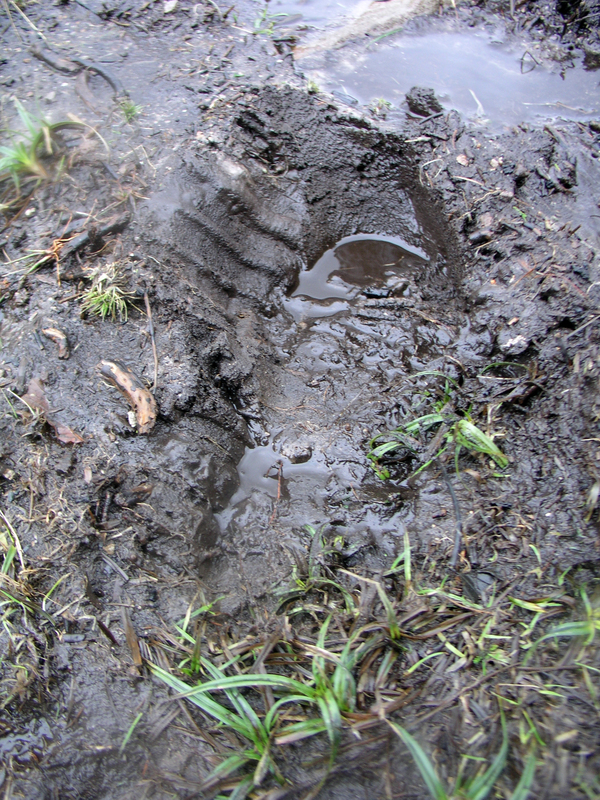 I’ll start wearing my boots at home more often I think. 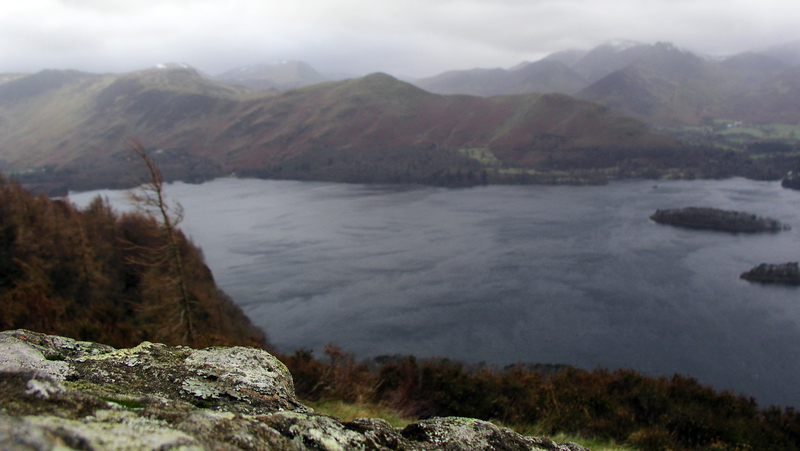 The view across to Catbells was very murky, dull and grey you could breath the moisture in the air. Derwent Water looked choppy, a lone pleasure boat was out obviously pleasure can still be found if just to see the mountains from the lake in complete solitude. I can appreciate that. Still, we made it back onto the Borrowdale Road again after hopping over the small stone wall at Barrow Bay and crossed over to join the lane climbing steady we began to warm up we took off our hats. White water falling from the Falcon Crag, (popular with climbers) and Brown Knotts one must always remark on the sound. We all agreed that it’s the best sound for anyone looking to de-stress and for me nothing captures natures sound better. In no time at all we arrived at picturesque Ashness Bridge. Turn back and you see one of finest views in Lakeland. One that has graced postcards and calenders for years. 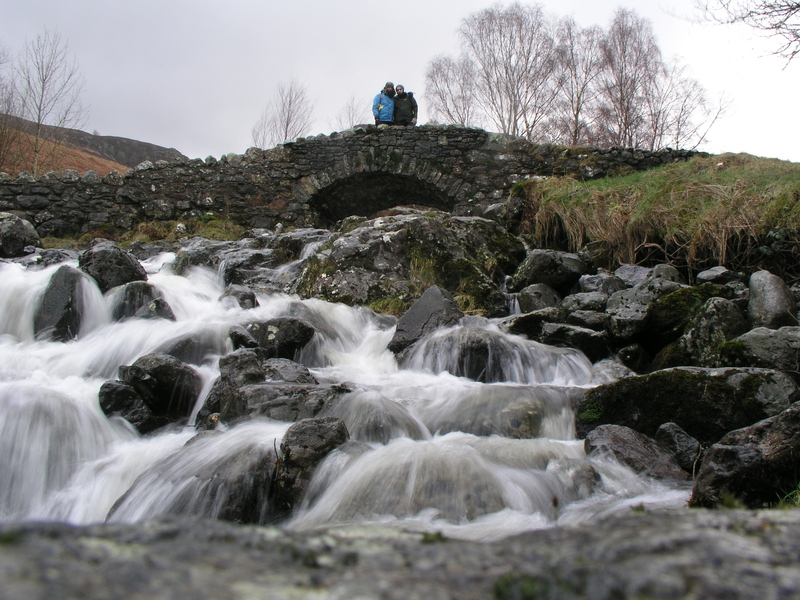 Ashness Bridge is a quaint little pack horse bridge wide enough for just one car. It wouldn’t look out of place on the Shire as Umar rightly observed. 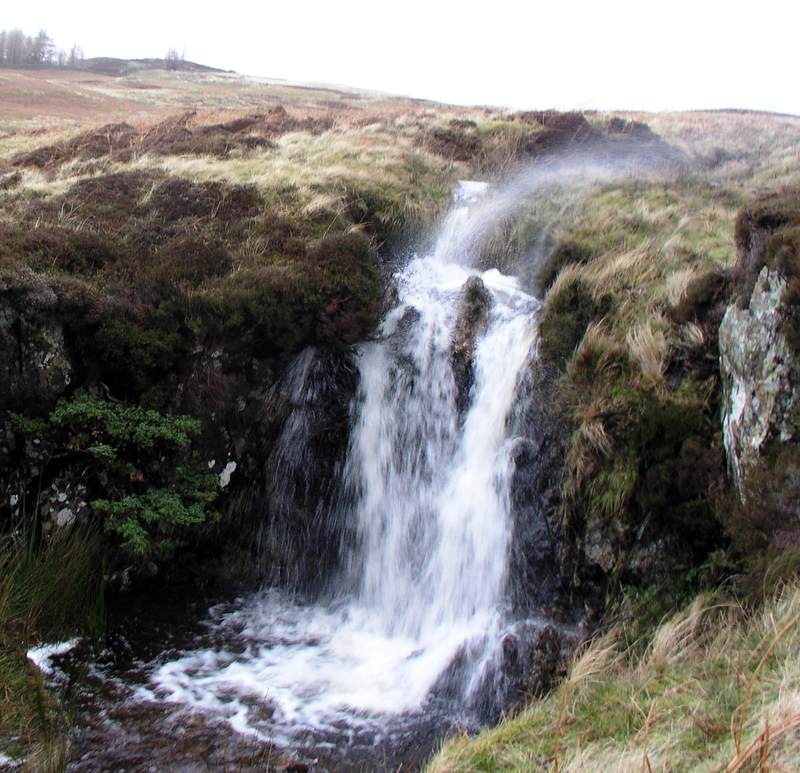 Barrow Beck run underneath, over masses of smoothed stone creating dramatic falls and of course that wonderful sound. We stood and admired the view down to Derwent and to Skiddaw and took up suitable posing positions for the family album. Then Umar took up the lens duty and began snapping franticly as Abs and I did our best to ‘work the camera’ as Umar was clearly get a kick from directing us for best effect. As we gained height the wind began to bite and gain strength. Now with nothing in it way, the crags we walked above were acting as a wind accelerator as the wind rams into the steep fell-side it has to go over the op and comes at you with huge force. Umar already looking like a ninja in his face buff tightened his hood and Abs battened down everything, refusing to look towards the wind incase his windows blew in. Umar started jumping up with his arms out hoping to be blown to some far flung destination. Then went chasing his headgear across the rough heather. The wind was immense. The view was ever changing, the clouds racing from the Newlands Valley across the lake in seconds. I lead us on towards Lady’s Rake shouldering the gale. The falls near Cat Gill were a sign of how windy it was as the water was lifted up and back on itself spraying us as we made up to the last press up onto Walla Crag. Walla Crag is not so much of a summit but view point made of a great baldy stone plateaux with plenty of room to run around. In the sunnier months this place would be filled with family’s on day trips from Keswick. Everyone and his frog would be up here. Today we had the place to ourselves. I made straight for the outward view over Derwent across to Cat Bells and behind the snow capped summit of Grisedale Pike. I then retreated as my cheeks were being hooked over my ears by the continued gusts. Umar and Abs holding onto their hats searched out a shelter round the back looking over Keswick. Calm at last and place to break out the Earl Grey and sarnies. A toast to those friends that couldn’t make it we S.M.A.S.H.ed Walla Crag and took in the view of toy town Keswick and Skiddaw wearing a grey hat. The clouds above were wrecked and chewed by the prevailing winds and broke up occasionally by clear blue sky. Then it would change again. A break in the clouds behind Keswick. A pool of light gathered just behind Keswick and a lonely beam of sunshine made its way from Bassenthwaite across the feet of Skiddaw, so sharp and bright one could easily imagine some kind of UFO was searching for a landing place. I’d never seen anything like it. 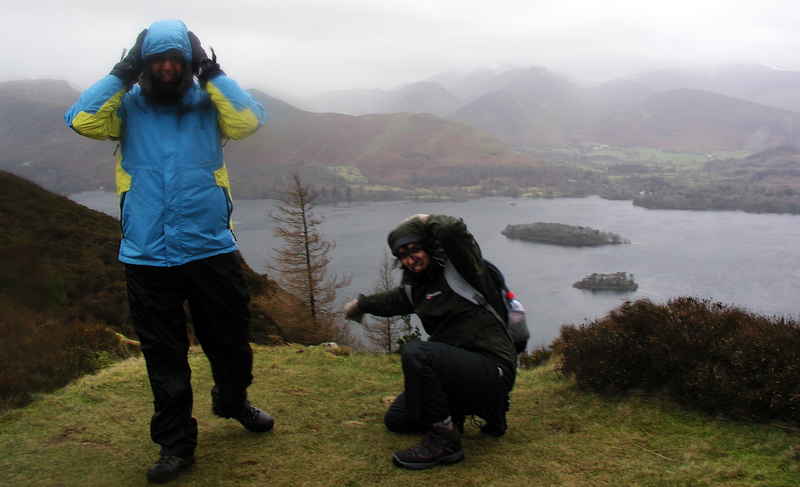 We took more photos of us messing about on the crag and then packed up for the descent to Keswick. We took in a few precarious steps towards the edge of the crag looking down in the wood below. A shear drop leaning into the wind. If Abs had control of the wind he would have switched it off to see of I went over. We sauntered down to the bridge over Brockle Beck knattering about growing up, bikes and games we played as kids inspired by our newest favourite game of sliding on your arse down a mountain side aiming for Keswick. We turned into Keswick onto the high street and market place. We made a visit to the Pitlochry for a quick feel for a Harris Tweed jacket that Abs and Umar have had their eye on for while and then we shortcut to the car now realising how clam it was compared to the pasting we took on Walla Crag. Again we paid our dues to the weather man, banking on some payback in the summer. This entry was posted in S.M.A.S.H. 2012 and tagged Alfred Wainwright, Ashness Bridge, Derwent Water, Keswick, Lake District, Skiddaw, Wainwrights, Walks by Oldromrider. Bookmark the permalink.